Game of Thrones Season 7 Episode 6 Spoilers: Winter Is Really Here! “Game of Thrones” Season 7 Episode 6 Spoilers: Winter Is Really Here! Game of Thrones season 7 episode 5 was very tense. After last week’s thrilling dragon action, this week was a breather. But not for long! Game of Thrones season 7 episode 6 is going to be adrenaline-pumping again. For those who want to wait until the episode airs, stop reading now because this piece contains spoilers. 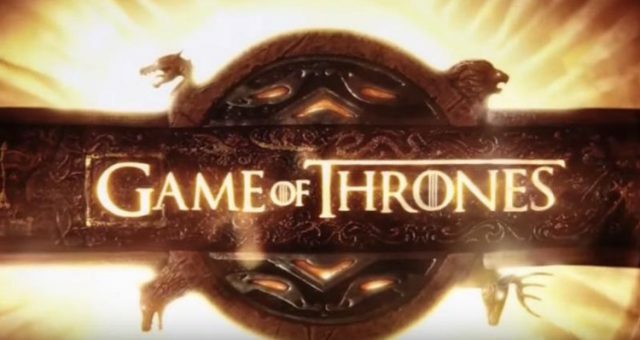 Throners who are doing their utter best to stay away from evil hackers and their spoilers until Game of Thrones airs were in for a treat. 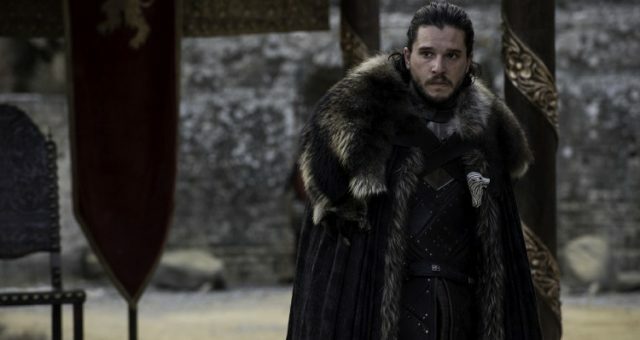 After last week’s mind blowing battle from “Spoils of War,” we got a more intricately detailed episode in “Eastwatch” to set the tone for the penultimate episode of the season. The preview is out and we’re in for some more battle action up north. Here’s a quick recap of Game of Thrones episode 5 and a breakdown of the official preview for next week in episode 6 spoilers. So the big cliffhanger from last week is solved. Bronn saved Jaime and the least Jaime could do was be more grateful. Not like Bronn cares. He’s more worried about his gold. Back to their battlefield, the Dothraki have gathered the remaining Lannister soldiers who managed to barely survive including Randyll Tarly and his son, Dickon. Daenerys tells them to “bend the knee or die.” Randyll isn’t eager to change queens a third time. 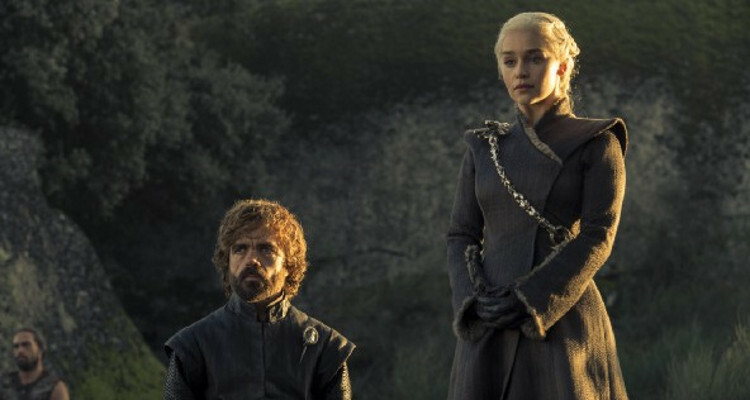 Tyrion, who’s trying very hard to prevent Daenerys from turning into her father, failingly tries to convince her that some time in prison might make Randyll change his mind. And after some moving father-son moment, Randyll and Dickon are burned to a toast. That’s all the convincing the other soldiers need to follow Dany. 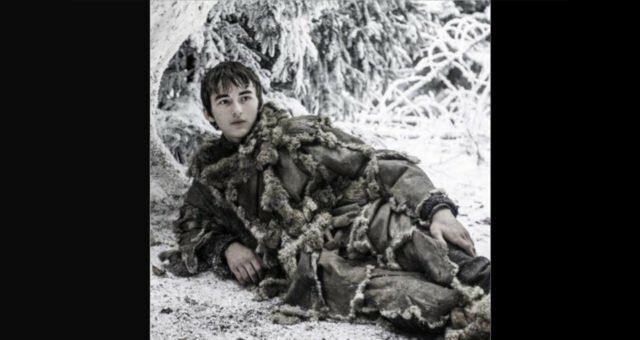 In Winterfell, Bran is being the most productive Stark by warging into ravens and checking out the White Walkers. He sends ravens to the Citadel and Jon about the army of dead while Sansa is doing poorly filling in for Jon. Sansa isn’t doing much to convince the lords about Jon’s course of action. Leave it to Arya to point out that Lady Stark is giving very weak support to the King of the North. Now Sansa at least realizes how Jon must have felt every time she offered constructive criticism. Meanwhile Littlefinger is still lurking in Winterfell, and Arya is stalking him. The conniving Baelish plants a letter Cersei forced Sansa to write to Robb Stark in season 1. Per that letter, Sansa called Ned Stark a traitor and urged Robb to pledge his allegiance to Joffrey. Arya finds that letter and Littlefinger smirks in the shadows. Obviously, his plan to drive a wedge between the sisters is working. Dany is back from her first battle, quite pumped about her victory. Jon Snow is shaking in his boots when Drogon lands in front of him and for a moment, Dany seems to not have much control on her dragon’s will. Though Jon is terrified, he probably thinks this is the best moment to convince Dany that if her dragons trust him, she should trust him too. So he yanks his glove and pets the very thing who could take his arm in one chomp. But Drogon actually takes a shine to who might be his mother’s only other relative. Great shot of the Dragon eye, by the way. Almost makes it worth it to spend all of Ghost’s CGI budget on a dragon close-up. 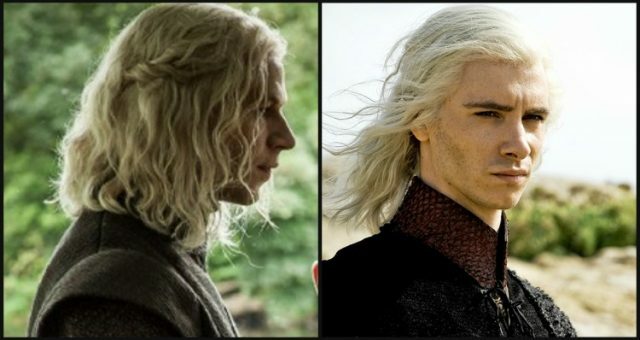 In the Citadel, Sam has found evidence that Rhaegar Targaryen had his marriage to Elia Martell annulled and had a secret remarriage. Now this is important because we know Jon is Lyanna’s son but it’s only implied that Rhaegar is his father. And if they had a secret marriage, Jon is not born out of wedlock and makes him a more legitimate Targaryen heir. And in a world where paternity tests don’t exist, Drogon’s stamp of approval is the best thing we can ask for. Sam doesn’t know how important that piece of information is yet. But he knows he can’t help his friends while he’s surrounded by a bunch of skeptical archmaesters. So he leaves the Citadel with a bunch of stolen texts which he hope will come handy. Jon and Dany are having a heart-to-heart, the friendliest conversation they’ve had since they met, they get interrupted by King of the Friendzone, Ser Jorah himself. And what do you know! Dany gladly welcomes him to the friendzone…er….her service. By the way, where’s Theon? It’s back to the Queen’s service for Jorah now. 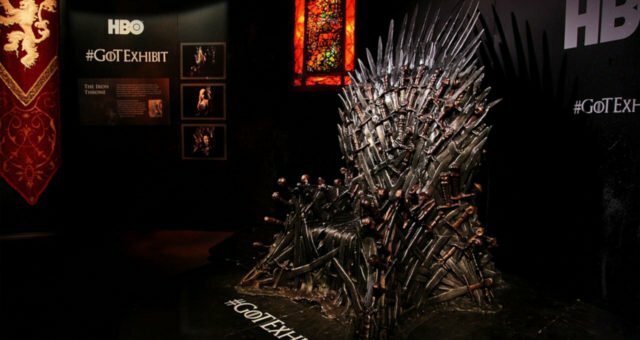 In the war room where Jon, Dany, Davos, Tyrion, and Jorah are gathered after Jon received Bran’s message. It’s still the same. Jon: Must fight dead people. Dany: Must fight Cersei. What we can conclude is Dany would have agreed but pulling back now would mean losing to Cersei. 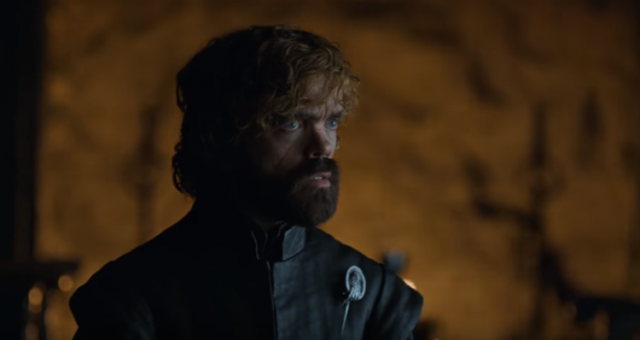 So Tyrion finally has the first Eureka moment since he returned to Westeros. He suggests they capture a Wight dead (technically, a dead White Walker is alive, yes?). With the evidence, they can convince Cersei that the White Walkers are a bigger threat. So they can suspend animosities until they defeat the dead folk up north first. So Jon, Davos and Jorah form a superhero team and set off. Let’s face it, this is what we were hoping for. After three seasons, Davos fishes out Gendry and they are still making rowing jokes. Gendry was working for the Lannisters but he‘d rather wield weapons now instead of make them. So he’s part of the Westeros Avengers too. And he’s already BFFs with Jon. Aw! While we revel in Gendry’s return, Tyrion paid a visit to Jaime thanks to good ol’ Bronn. Tyrion offers a somewhat armistice between their two queens. It’s hard to tell how fruitful this meeting was with Cersei already a step ahead of Tyrion. Jon, Davos, Jorah and Gendry have reached Eastwatch-by-the-sea but not before a Dany-Jorah moment was interrupted by a Dany-Jon moment. Before we get excited about any romantic sparks, Jon is already at the Wall and there they meet Beric and the Hound. Gendry buries his animosities with them and they form a team that would rival Justice League. Which brings us to the preview. Rivaling Dany’s heat-raising battle, is a chilling one beyond the Wall. The preview shows Jon and his band of heroes fight it out with the undead. What was an expedition to catch one undead alive, will prove difficult when the Night King himself shows up. This will also be when we finally get to see Beric wield the legendary Lightbringer. Game of Thrones season 7 episode 6 will air on August 20 at 9:00 p.m. EST on HBO.